In the biz, it’s called home meal replacement. And Boston Market was one of the first companies out of the gate to enter into this recently very competitive sector of food service. 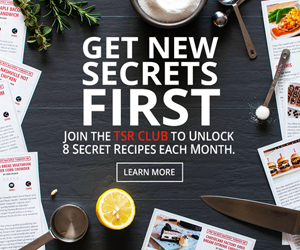 The company was started in 1989 and offered its special recipe of marinated rotisserie chicken, along with several home—style side dishes. 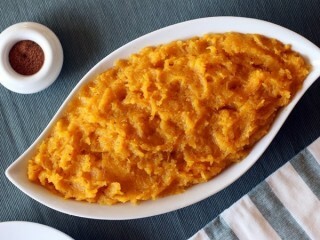 The butternut squash was not one of the company’s first side dish offerings, but has recently become one of the favorites. The light-tasting vegetable, seasoned with nutmeg and sweetened with sugar, is a healthy alternative to more fat-filled fare. According to the nutrition sheet, the chain’s version of this bright yellow side dish has some fat in it-probably from butter. We can make a great fat-free clone of Boston Market’s butternut squash, using Butter Buds Sprinkles to replace any fat, along with the same type of spices that are found in the real thing. 2. Cut the butternut squash in half and scrape out the seeds and stringy stuff. Spray the cut surface of the squash with cooking spray and place the two halves cut side-down in a baking pan. Bake for 1 hour, or until tender. 3. Scoop out all of the tender squash and load it into a medium bowl. Use a potato masher to puree the squash. To make it even smoother, like the original, you may want to run it through a food processor set to puree for about 30 seconds. 4. Add the remaining ingredients and mix well. 5. Reheat the squash in the microwave for 1 to 1 1/2 minutes, or until hot, and serve. This squash was delicious. Perfect amount of spices and sweetness, It's going to be a regular at our house from now on..